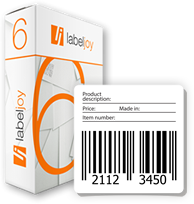 If you need to create a single QR Code try our Online QR Code Generator, if you need to create and print QR Code Labels with text, images and want to import data from external data sources, the Labeljoy software is the perfect solution. 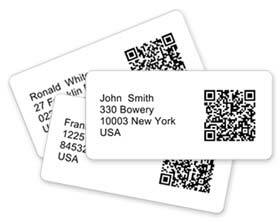 Import QR Code data from databases to labels. 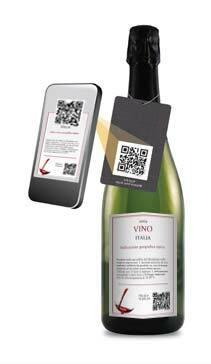 With Labeljoy you can link QR Code labels to different types of databases quickly and easily. Labeljoy provides a guide to create QR Code importing data from databases as Excel, text files, CSV files, Access. Import contacts from Windows Mail, Outlook and Sendblaster. Import data from professional databases such as MySQL and Oracle. Click on “Insert barcode” on the left toolbar. Indicate the position where you want to insert the QR Codeon the label. Select “QR Code” from the Barcode type combo box, 3 additional combo boxes are displayed to enable you to define further parameters: encoding, size and error correction level. Type the text in the field below, add counters or data from external databases. Finally click on OK to automatically generate the QR Code. Change the size of the code directly on the label.